What Are You Missing in this Football Helmet Impact Test Video? BAM!!! It's hard to miss. The battering ram launches into the side of the helmet and the helmet (and head) goes flying. This is the new test that helmets are subjected to based on the National Operating Committee on Standards for Athletic Equipment (NOCSAE) changes that will go into effect November 2019. This new test was created to more realistically simulate the way the head and neck react to impact forces and is a big improvement from the previous testing method (left side in video) of dropping a helmet from 8 feet in the air. What Could you Possibly be Missing? Be honest with yourself. When you first watched it, were you drawn to how much the neck moves after impact and then in recoil? It's ok. Most people miss it. At the core of any type of effort to reduce concussive forces is the challenge of energy transfer. The idea is that if you can more quickly and efficiently transfer and disperse energy, you can mitigate the severity of the forces that ultimately reach the brain. With this thinking, it's natural to be drawn to the point of impact. When you rewatch the video, however, it becomes so obvious how much force the neck is absorbing. That is precisely why the new test has a more lifelike, responsive neck. A closer look at some of the discoveries leading neurologists and researchers have revealed about the important role the neck plays in reducing concussive forces is shifting concussion prevention focus towards your built in shock absorber: your neck. How does a helmet help in cases where there's not even any contact to the head, you're hit in the body and your head snaps hard in that direction? Concussions can happen simply from whiplash. It happens to people in fender bender car accidents all the time. A 2014 study published in the Journal of Primary Prevention showed that in high school boys and girls, for every 1 pound increase in neck strength, odds of concussions decreased by 5%. 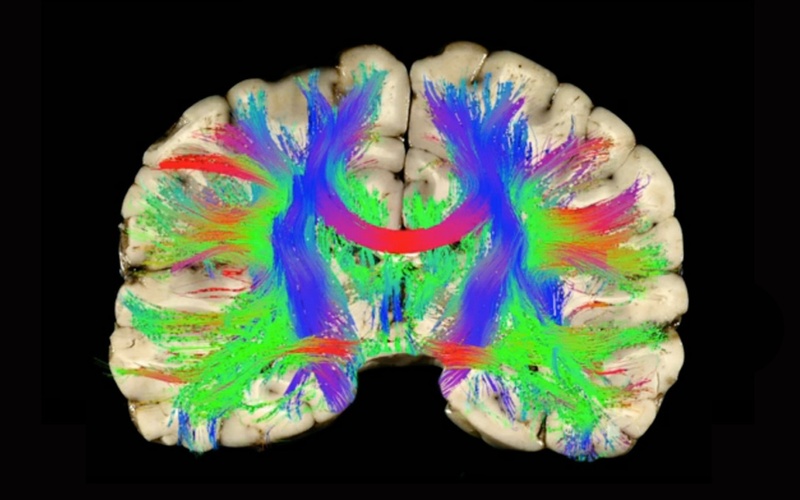 Dawn Comstock, a Colorado School of Public Health professor and researcher who manages the national concussion collection database on which this study was conducted, says that this research is in line with what we're learning about rotational forces. "As the head rocks back and forth, it's also twisting a little on the brain stem," explains Comstock. "It's those accelerative and rotational forces as the brain is impacting inside the skull that are really what's causing much of these concussions." These rotational forces can best be visualized in Stanford researcher David Camarillo's 2016 TED Talk Why Helmets Don't Prevent Concussions - and what might. This image shows the torsional and shearing forces on the neuronal fibers (or axons) in the brain. 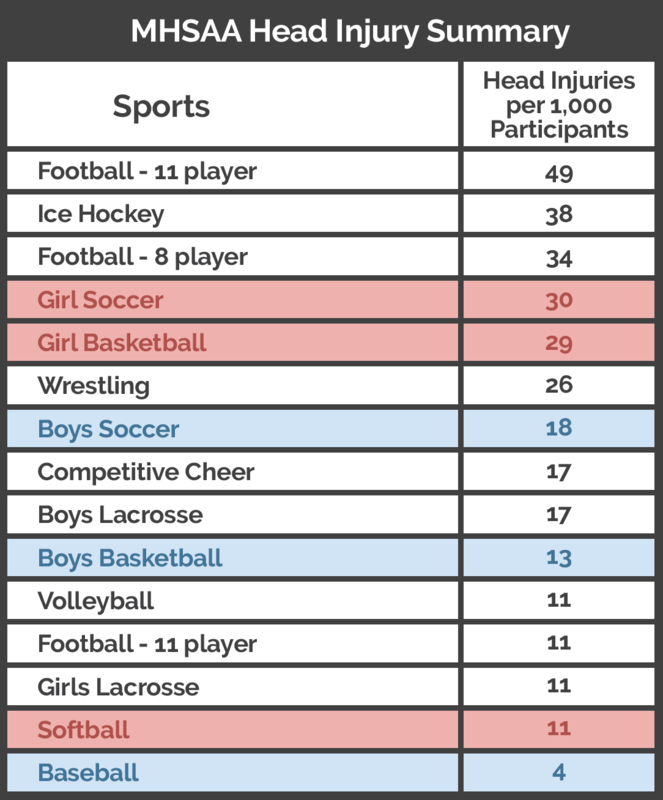 While better helmets may make incremental improvements in football, they serve no benefit to female soccer and basketball athletes, for example, which had the fourth and fifth highest concussion rates in a Michigan High School Athletic Association study of head injuries, respectively. Neck strength is a critical piece to the concussion management puzzle. Training these muscles both linearly and rotationally to be strong and responsive to concussive forces is beneficial to every athlete, regardless of whether or not they have a helmet on their head. Your neck is far more complex than the neck of the test dummy. 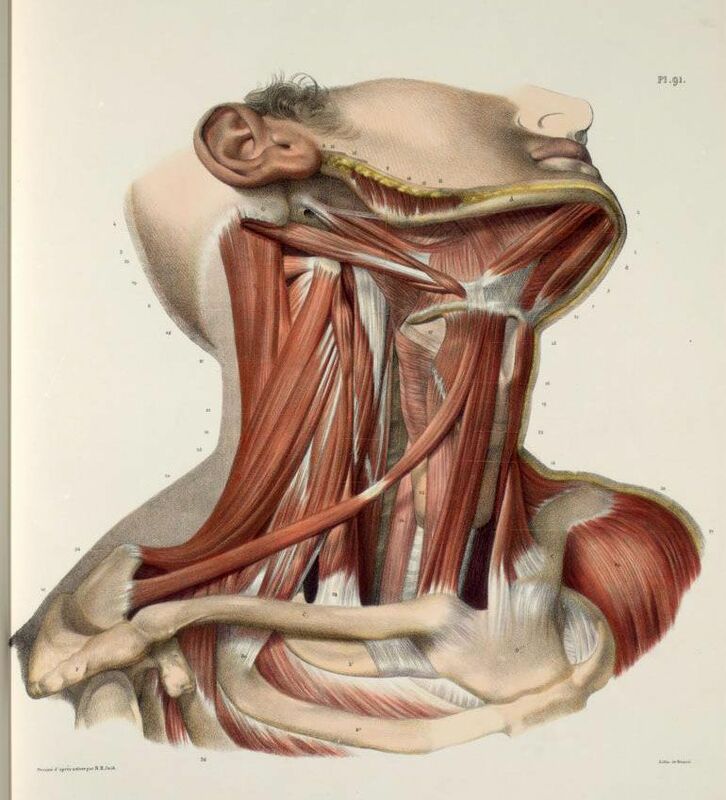 Neck muscles are primarily diagonal fibers connecting different parts of your jaw and skull to your spine and shoulder complex. Training these muscles to be strong through full ranges of motion, from every angle, in every position should be at the top of every strength and conditioning coach's concussion priority list. More kids are beginning to train their necks that way thanks to strength and conditioning coaches who are incorporating Iron Neck into their program. NFL players like Latavius Murray are performing more advanced training, developed by Syracure, NY based strength and conditioning coach Vinny Scollo. Where we should focus isn't always glaringly obvious, even when it's right in front of our face. If you first watched this video and didn't pay any attention to the neck movement, now you know. Neglecting neck training in athletes is quite simply negligent.